Thai Green Chicken Curry | Anyone For Seconds? 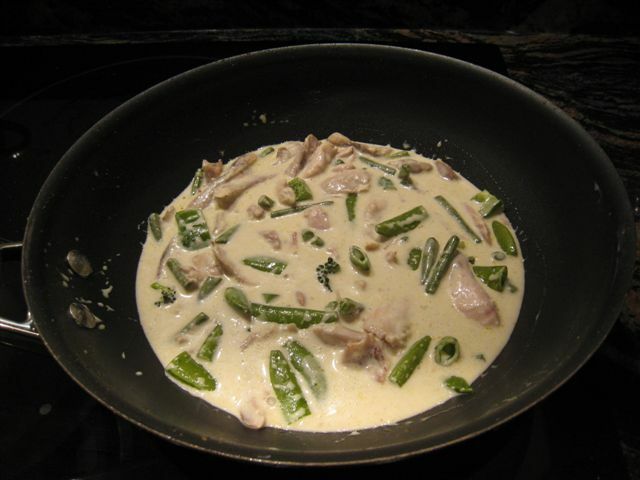 I always enjoy making a Thai Green Curry and did just that for New Year’s Eve when we had eighteen friends for a meal to celebrate the New Year 2010. They all helped out by bringing starters, puddings, cheese etc. and another friend brought an Indian curry to go with this and the Korma too. 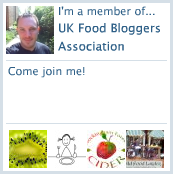 I’ve used the same recipe since 1998 when my daughter returned from her year and a half stay in Australia. She and her housemates used to make this as an easy meal and fed friends as well. She always used vegetables to add flavour and another dimension to the curry but I’ve noticed that some cooks only use meat or shellfish. If you are a vegetarian the meat and shellfish can just be left out. I normally make my own green curry paste with lemongrass, chillies, garlic, ginger etc (and nearly everyone has their own recipe). Today I’m stuck at home with the snow so I used a good green paste from a jar. I hope you find it easy to make and enjoyable to eat. 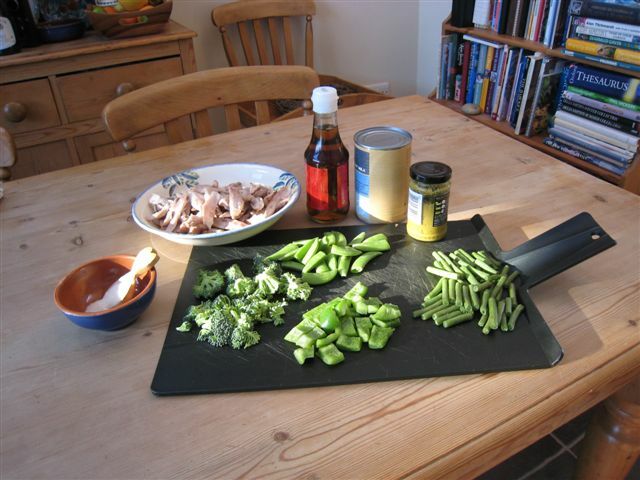 Green vegetables – I use a combination of beans, mange-tout, green pepper, asparagus or whatever is around. 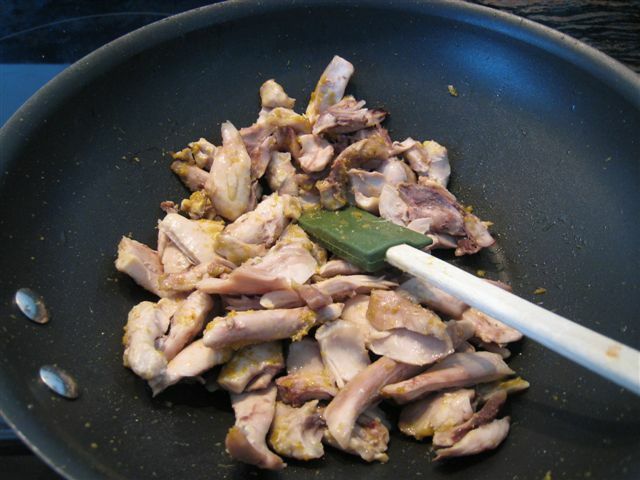 1 Put a little oil in a wok and cook the chicken until lightly browned, removed from pan. 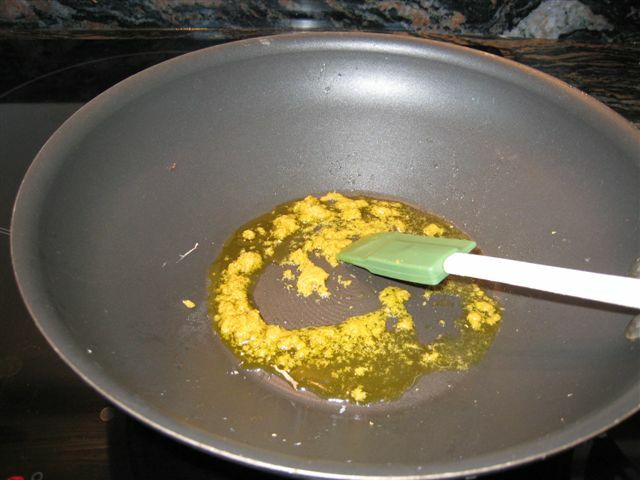 2 Heat the wok until very hot and add 1 heaped tsp of green curry paste and cook for a minute. 3 Return the chicken to the pan and coat with the paste, stirring all the time. 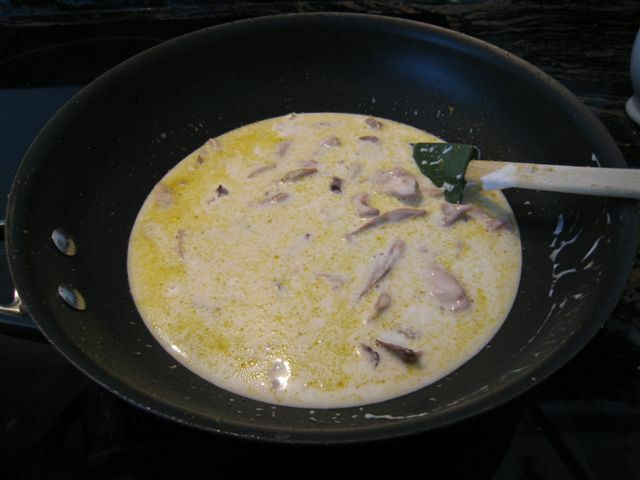 4 Then add the coconut milk and cook on a low heat for 15 minutes until the mixture begins to thicken a little. 5 Add the fish sauce and sugar to your taste, finally adding the green vegetables. 6 Cook for 5 minutes until the vegetable and hot but still have a bite (it may depend how you like your vegetable as to how long you cook them). 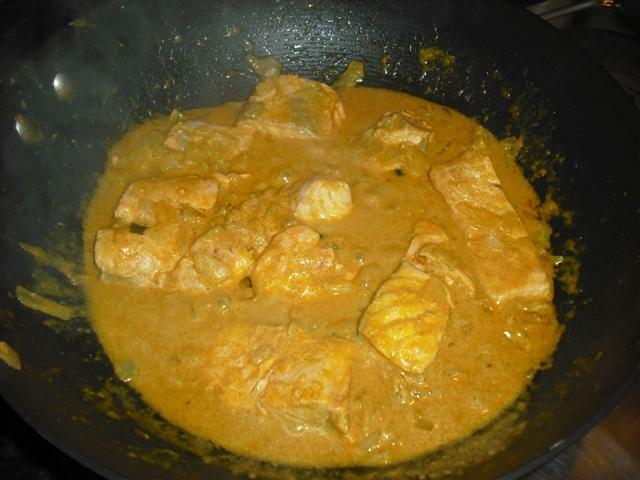 Serve with chopped coriander and Jasmine rice. If using ordinary rice squeeze some lime juice over the cooked rice and fork through before serving. NB the curry can be made in advance or even the day before, and kept in the fridge, so long as it is heated through properly before serving.